It is regarded as a small market that is dwarfed by its giant neighbors of Japan, China and Philippines. But despite its small size, Taiwan’s population of 23 million grew economically in the 1960s to 1990s and was dubbed as one of the four Asian Tigers with strong economic growth. Fast forward to the current day. In the midst of China’s manufacturing capabilities outshining its own, how has Taiwan fared as an economy? And can Taiwan’s startups be the shining light in the midst of economic challenges? Is the startup ecosystem ready to support new innovation? I asked five startups who have operated in the Taiwanese market for their insights. Taiwan’s ecommerce market is over U$34b market size in 2015 and with a 5-year average annual growth rate of 10-20 percent. It is a sizeable 28 percent of the US$120b traditional retail market and forecasted to surpass traditional retail market. Mobile commerce penetration is also high at 50 percent, with more than 70 percent of all Taiwanese online shoppers purchasing using smartphones. 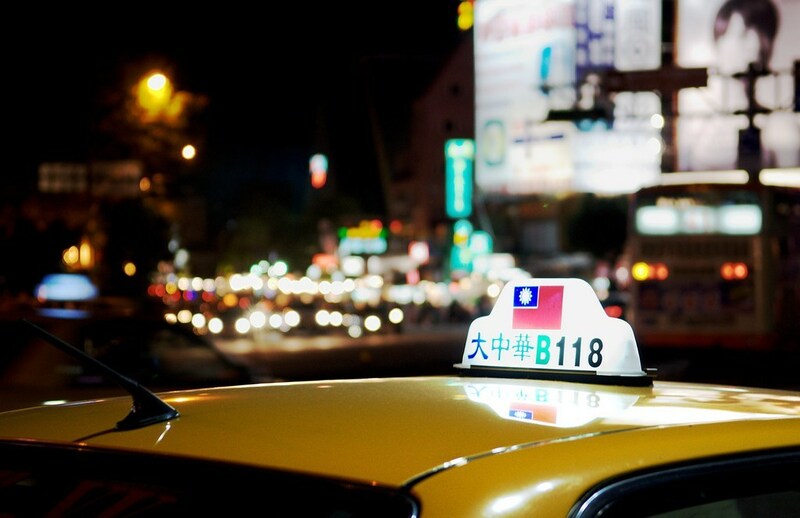 Coupled with a mature infrastructure, the ecommerce market in Taiwan can only grow bigger. To this end, Tony provides merchants the opportunity to build their own site and brand, giving them more options and capabilities to run their business independently and work with local partners such as 7-11 (logistics) and Allpay (payment) to support these merchants. Also taking this opportunity to tap into the ecommerce market is Eric Wang. He founded citiesocial, a global curation product discovery ecommerce marketplace for international high-quality home, electronic and fashion brands. The CEO and founder feels that that the market is fragmented and gives his insight, “Unlike China, where 70 percent of the market is dominated by TMALL and Taobao, few Taiwan ecommerce players own more than 10 percent market share, which creates opportunities for smaller sized merchants to tap into the market.” And citiesocial’s figures are the proof of the pudding that smaller-sized merchants have skin in the game, with over 300k registered members and 25k items for sale. Charles Chin describes the reluctance of using English to present financial information by Taiwanese public companies impedes the visibility to international investors. To address this issue, the CEO and co-founder founded WritePath, which provides businesses a universal language solution. Using AI technology called ‘translation booster: T-booster’, content requiring to be translated will be analyzed, recycled, and “learned”. In this way, translators can do their job faster, easier and more accurately. Cate Xie, co-founder and CBDO, SkyRec Inc., finds the competition in traditional retail business has intensified. Most stores now close as late as 11pm and some even run businesses around the clock due to the changing Taiwanese lifestyle. To this end, her company provides big data analytics and business intelligence for brick-and-mortar retailers, which includes VFC, Sasa and HiLife. In her experience, local retailers need more critical scientific information like shopper traffic, in-store analytics, sales transaction and staff shifting, and not just POS data and physical observations. Traditional retailers are less willing to move forward to adopt new technologies. But her product is relatively new for the industry. And traditional retailers are less willing to move forward to adopt new technologies. Her challenge is to convince retailers that business intelligence for store optimization is key to survival and profitability. Charles of WritePath feels that the startup scene actually is much better off than a few years ago. Tony of Shopline finds a pattern of startups following Taiwan’s traditional focus on hardware companies like Foxconn, Asus, Acer, MSI and HTC, all which are examples of major international brands founded and headquartered in Taiwan. Thus, it is natural for Taiwan startups to follow this trend since there is already a large talent pool in such industry. They notably focused on the IoT vertical, an example would be Gogoro, the Tesla of scooters. Ken of iChef observes that there are many startups seeking funding, and there are many investors, but there seems to be mismatch. Eric of citiesocial agrees and believes this is a very Taiwan-specific issue. He explains, “Taiwan’s larger VC funds are experienced investors in hardware, semiconductor and telecommunication companies. They are, however, new to investing in internet and software companies. This often makes it difficult for these funds and internet/software company founders to be aligned on company growth levers, strategy and valuation framework. Cate Xie agrees that Taiwanese startups face difficulties in getting early stage funding. She observes, “Angel investing hardly exists in Taiwan. Investors from Taiwan might show great interest in early stage funding in the beginning, but they soon realise they don’t have the experience and don’t really know how to invest in the new verticals. They will instead turn to late stage investments where financials are clearer.” Her advice to startups that if they wish to grow into unicorns, fundraising outside Taiwan is a must. She also notes that the Taiwanese are over-modest and not keen to promote themselves, with the Taiwanese culture and education contributing to that behavior. This is observed anecdotally that there are fewer Taiwan teams that are known globally compared to other startup ecosystems. For Eric of citiesocial, he says startups should consider the advantages of the market of high average income consumer market, well-established logistics infrastructure, high internet/mobile penetration, strong technical talent pool for hardware/software/design, measured business integrity and decently clean business law. With these in mind, he believes many industries can be disrupted in Taiwan, but just be sure that one chooses wisely, using hard numbers as a basis. Special thanks to 500 Startups Greater China team, Pinehurst Advisors, Mesh VC and TSS for their introductions to the startups. This article is the sixth of the ‘Through local eyes’ Series, where local startups give their take on Asian startup ecosystems.